“Protecting your information is an important part of Social Security’s mission. You work hard and make a conscious effort to save and plan for retirement. Unfortunately, fraud and scams are a part of our current reality. Scammers try to stay a step ahead of us, but our cyber-security programs help us protect the information entrusted to us. Despite the techniques we use to thwart scams, we can’t do it alone. 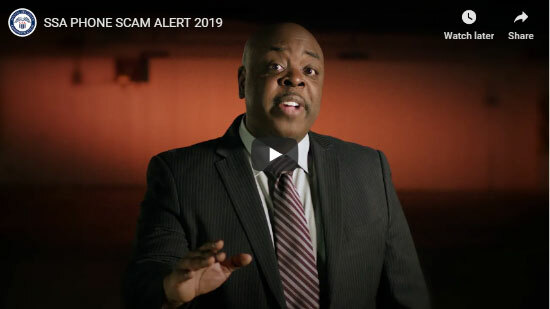 You can read Social Security’s joint press release with the Office of Inspector General about our new nationwide Public Service Announcement (PSA) campaign. This new PSA campaign addresses these telephone impersonation schemes in a series of video and audio ads. Watch the video [on the original blog post] and learn how you can help us protect your information.